EduGaming (Educational Gaming) is the process of using games for learning. EduGaming encompasses games made specifically as learning tools and also the appropriation of games for learning objectives. Using games for learning is not a new phenomenon. Popular educational gaming software like Mathletics has been used by schools for years. Recently however, the diversity and effectiveness of games for learning exponentially increased. 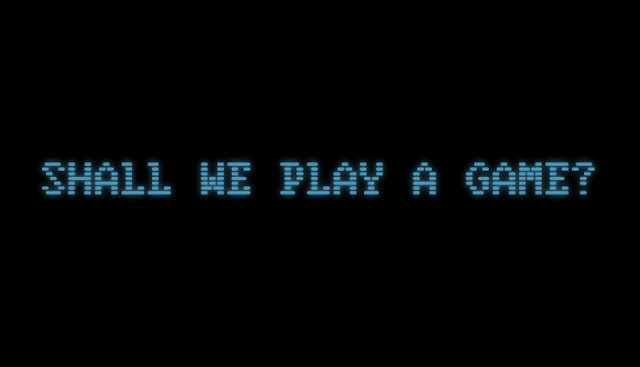 Schools and students around the world are using games as an innovative approach to learning. A NYU and CUNY study of the benefits of educational gaming (Plass et al. 2013) found that utilising games for learning boosts motivation and encourages a mastery mindset in students. Plass found support for claims that games can motivate students to learn less popular subjects like mathematics and can encourage a deeper interest in the subject matter. He also found that games can place students in a mindset conducive to learning rather than worrying about “how smart they look”. Educational games encourage students to acquire knowledge and develop their abilities in achieving goals. Many games provide a non-threatening environment where failure is constructive rather than definitive. In many games, if you don’t succeed in a challenge or activity you can reattempt the level and further develop the needed skills. The learning is self-paced and incentivised. Games-based learning can encourage mastery goal orientation rather than performance goal orientation. Failure is utilised in the learning process and encourages re-engagement with the material. Students self-direct their learning (Plass, et al. 2013). Minecraft is a good example of a game gathering momentum as a platform for learning. MinecraftEdu is an educational version of the popular game designed for schools. Teachers are using MinecraftEdu to teach traditional subjects and curriculum in a game-based environment. In MinecraftEdu, teachers are usually the central administrators of the learning. Using the standard version of Minecraft however, presents some exciting opportunities and challenges for learners and educators. Microsoft has recently acquired Minecraft and MinecraftEdu and is developing an educational edition for schools. In 2014, in collaboration with other Microsoft Innovative Educator Experts, I founded mineclass.org, a Minecraft project where students and teachers from around the world could learn together in a collaborative games-based environment. In Mineclass the students taught the teachers how to play Minecraft and the teachers facilitated project-based learning and computational thinking. Learning occurred in the form of challenges that needed to be completed collaboratively. Some of the challenges in Mineclass included building working machines (calculators and computers) and designing structures (lighthouse and airport). To create working machines in Minecraft students needed to employ redstone and command blocks. Computational thinking and coding became part of the creation process. A common challenge for teachers using games for learning is that (currently) most teachers are not gamers. The traditional teaching model of educator as expert can be challenged in games-based learning. Using a reciprocal learning relationship is beneficial in exploring this challenge. The concept of ako aptly describes this learning relationship. Teachers are not expected to know everything. In particular, ako suggests that each member of the classroom or learning setting brings knowledge with them from which all are able to learn (Keown, Parker, and Tiakiwai, 2005). If teachers are willing to learn from their students and learn together in games, then new knowledge and understandings can grow out of the shared learning experience. Games creation and development is also gaining traction in schools and educational organisations. Games development draws on numerous key learning areas. Students can develop skills and understandings in coding, literacy, design and computer science while developing a game. During Matariki last year, school groups and teachers visited us at The Mind Lab to specifically explore STEM (Science, Technology, Engineering & Mathematics). 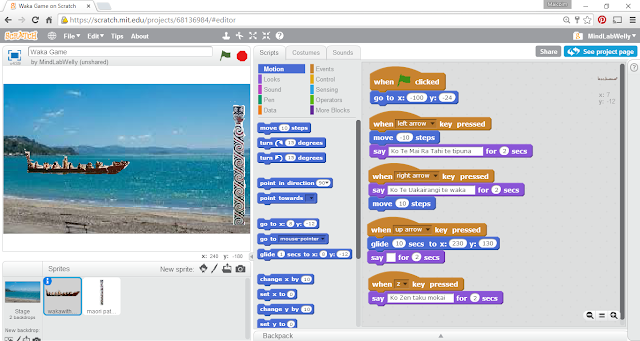 In one of the learning activities, students created their own interactive waka (canoe) rowing game using Scratch (programming interface), Makey Makey (electronic invention kit), tinfoil and cardboard. Effectively, they coded a game where their digital waka moved forward in response to physical rowing movements (with a cardboard and tinfoil paddle). The development process was challenging, creative and fun. Students and teachers worked collaboratively to create their games and learn together. Contemporary research in EduGaming indicates that games should be explored by educators as a method of motivating students and developing a mastery mindset in learners. Even if you are not a gamer, if you are open to learning with your students you will be modelling a lifelong learner mindset and you may just have some fun as well! Keown, P., Parker, L., & Tiakiwai, S. (2005). Values in the New Zealand curriculum: A literature review on values in the curriculum. Report for the Ministry of Education, New Zealand by the Wilf Malcolm Institute of Educational Research, School of Education, The University of Waikato.